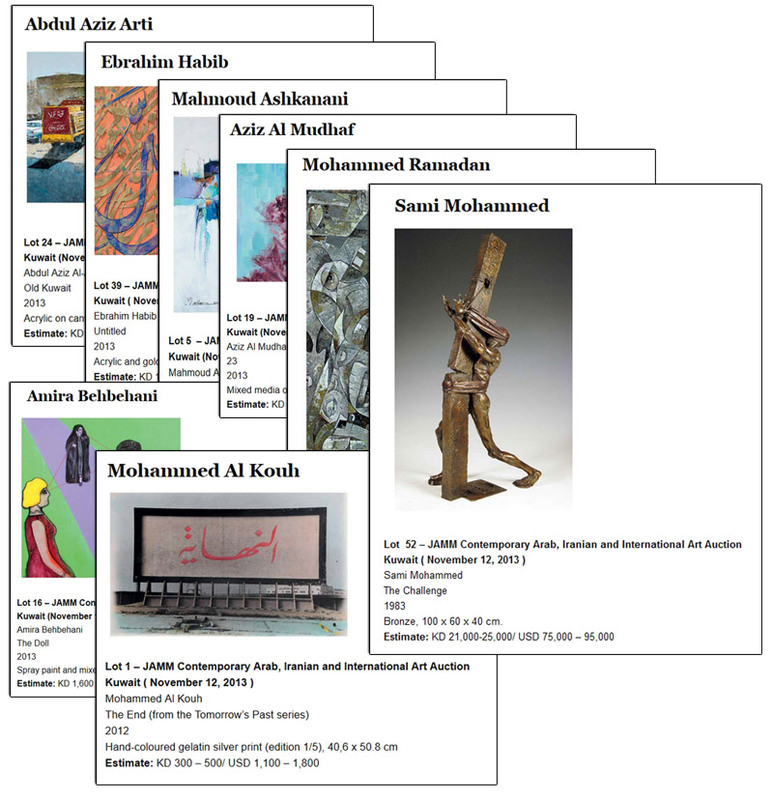 Check lots details of 12 Kuwaiti artists at upcoming JAMM’s 4th Contemporary Arab, Iranian and International Art ( Preview – November 11, 2013; Auction – November 12, 2013). Price range KWD 300 – 21,000. Artists: Sami Mohammed, Tarek Al Ghoussein, Mohammed Al Kouh, Mohammed Ramadan, Aziz Al Mudhaf, Mahmoud Ashkanani, Ebrahim Habib, Amira Behbehani, Fareed Abdal, Ibrahim Al Atiya, Ahmad Al Ayoub and Abdul Aziz Arti.